I have argued from the very beginning of the US-Iran nuclear talks that the diplomacy taking place was nothing more than theatre to be used later in the rush to war as evidence that the US did “everything in its power” to avoid confrontation. Considering the years of propaganda surrounding Iran and its nuclear program, it should be clear that the recent US-Iran nuclear deal was nothing more than a show. After all, the US/NATO imperialist machine has made its desire to wage war on the Persian nation explicit for some time. The only question is just how long this theatre will last before that goal is finally realized. Considering the sizable reaction of warmongering and hysteria seeping from the mainstream Western press, the US Congress, Republicans, Conservatives, Israel, and Zionist supporters, the predictions that any deal with Iran will eventually be sabotaged, repealed, or violated, blamed on Iran, and ultimately used to initiate a military confrontation are clearly capable of coming true in the near future. Granted, Obama supporters and Leftists across the country are hailing the deal as a wonderful display of the desire for world peace. But, for Obama supporters and Leftists, any act by Obama, even war, is considered a wonderful display of the desire for world peace. However, the Western and Western-allied press has erupted in panic and horror that the “solution” to the phantom Iranian nuclear problem was anything short of total war. Those outlets may not have long to wait, however, if the pulse of the media in Saudi Arabia and Israel can be taken as an accurate measure of the pulse of the governments there. The Israeli media, for instance – always in front of the line to promote war against any country (since Israel will be able to fight to the last American if there is a response from the victim) – is already floating the idea that Israel might launch a military strike against Iran in the very near future. These outlets are even going so far as to dissect what such an attack would entail and how it would play out. Israel has until around mid-December to preemptively strike Iran’s nuclear program before it gets even harder to justify legally than Tuesday’s deal has already made it. Of course, right now diplomatically, a strike seems unthinkable. But until mid-December, when the IAEA renders its “final assessment” of “all past and present outstanding issues,” as referred to in the around 150-page agreement, the UN will likely not have actually removed most sanctions. As long as UN sanctions are in place, Iran’s history of violating the Nuclear Non-Proliferation Treaty, of UN resolutions and actions framing it as a violator, and of the failure of those actions to stop Iran’s push for the bomb is still the narrative. Why does this matter? Some say that preemptive strikes are barred by international law from the outset, as only an armed attack activates the right of self-defense against an aggressor. Countries that have carried out preemptive strikes in the past – like the US and Israel – largely base their actions on the concept that international law permits a preemptive strike to prevent an imminent attack, even if that attack is not yet in progress. Once preemptive strikes can be undertaken to block an imminent attack, broadening the definition of what is “imminent” to permit a strike even more in advance of a potential threat is less of a jump. This is especially true concerning nuclear weapons, which can essentially end the game if they are launched. The resolutions do not authorize a preemptive strike on Iran, nor does the current Iran deal. Far from it. But some argue that legally the reason that individual nations are supposed to hold off from preemptive strikes is that the UN is supposed to handle collective security issues so that individual nations do not need to. Some have argued that if the UN drops the ball persistently over a long period in protecting an individual nation from a security issue, then there is more justification for that nation to take preemptive action in self-defense. There will likely be an initial UN resolution in the near future to set the stage for later sanctions removal. However, until UN sanctions are actually removed and Iran’s violator status is reset by a second round of UN resolutions – likely around when the IAEA gives its report – Israel can still argue that Iran is a violator which the UN failed to stop, even according to its own standards. All of that changes once sanctions are removed and Iran is no longer a presumed violator. Also, until the second round of UN resolutions pass, there could be numerous instances of Iranian cheating or foot-dragging on specific obligations. What if Iran gets caught, 24 days pass, and the five Western powers blink? If this occurs before the UN resolution, the Israeli argument would actually be stronger, because Iran would be in express violation of its most recent commitments, along with past UN resolutions. Of course, the agreement views noncompliance as a reason to snap back sanctions, not for a sudden strike on Iran. But on the spectrum of legal justifiability, Israel would be better off making a preemptive strike than it would be after the UN resolution is passed. Although Bob himself does not call for military action against Iran in his article, the discussion – which is currently taking place all over the Israeli media – is telling. The fact that the entire country seems to be engaged in a “debate” about the proper Israeli reaction in a manner similar to the “debate” that took place in America during the insanity of the question of Iraq’s WMD’s shows that the gears of war are gaining both speed and momentum. Indeed, a sizable portion of Israel’s population already supports strikes on Iran. Notice, however, the frame-up for the question of war against Iran – namely that the Iranians are found to be in violation of the nuclear agreements, particularly before the UN resolution to remove sanctions and rebrand Iran as a nation that is not a nuclear violator is in force. Forget for a second the ideal situation for Israel – a violation before an official UN resolution. The truth is that any violation – large or small, real, imagined, or manufactured – will almost certainly suffice. 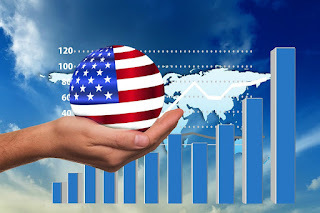 ...any military operation against Iran will likely be very unpopular around the world and require the proper international context— both to ensure the logistical support the operation would require and to minimize the blowback from it. The best way to minimize international opprobrium and maximize support (however, grudging or covert) is to strike only when there is a widespread conviction that the Iranians were given but then rejected a superb offer—one so good that only a regime determined to acquire nuclear weapons and acquire them for the wrong reasons would turn it down. Under those circumstances, the United States (or Israel) could portray its operations as taken in sorrow, not anger, and at least some in the international community would conclude that the Iranians “brought it on themselves” by refusing a very good deal. For those who believe that the Obama administration is hostile to the Israelis and their agenda, one need only look toward the decimated cities of Syria and the wasteland that is Libya in order to see that the opposite is the case. The Obama administration, like the previous administration, has been marching in lockstep with the Israelis since the very beginning and nothing has changed. The only difference is that the current administration is that of a Democratic President, thus the perception that Obama is “weak on his support for Israel” must be played up as a narrative. That narrative, however, is just that – a narrative. It has no basis in reality whatsoever. The Israelis are not dissatisfied with the United States nor is the United States dissatisfied with Israel. Both parties are merely playing a role in a carefully scripted act that ultimately involves more war against the enemies of Anglo-American imperialism and the world oligarchy. Do not be fooled by propaganda. While the Iranians are busy negotiating, the Americans and the Israelis are busy gearing up for war. Indeed, the Saudis, engaged in their own murderous campaign against the Houthis in Yemen, are apparently ready to join in as well. 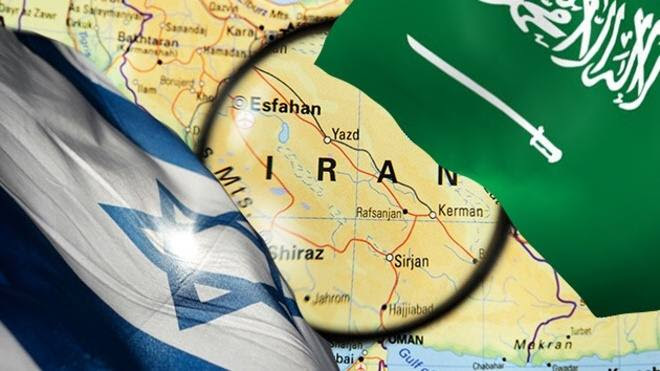 In private talks with European sources, the Saudis have expressed their willingness to cooperate with Israel on Iran, including use of Saudi air space by the IDF for a possible air strike, according to a report by Channel 2. Cooperation with Saudi Arabia would not come free, however. According to the report, the Saudi officials said they would need to see progress between Israelis and Palestinians before having enough legitimacy to allow Israel to use their air space. The Saudis, of course, while professing a hatred of the Israelis have been working close together for some time, not the least of which in Libya and Syria but as mutual participants in the Anglo-American assault on countries not fully integrated into the global system controlled by private bankers and world oligarchs. The Israelis are not contemplating an attack against Iran because the Americans have betrayed them and they are most certainly not contemplating an attack out of a legitimate concern for their safety. The Israelis are merely playing their part in a theatre that was constructed some time ago, a screenplay that can be partially read in the Brookings Institution’s 2009 report, Which Path To Persia? That path has clearly been mapped out by the Anglo-American establishment. It remains to be seen if the American population will allow them to follow it to its destination.